They are the colorful and cute heroes of the garden! They are also a very interesting insect. There is an exceptionally large ladybug hiding behind the Playhouse in the Children's garden. Can you find it? While you are looking here are some interesting facts about ladybugs. Ladybugs are not bugs... they are actually beetles! There are almost 5000 kinds of ladybugs in the world but just 400 in North America. They come in a variety of colors and have between zero and 22 spots. 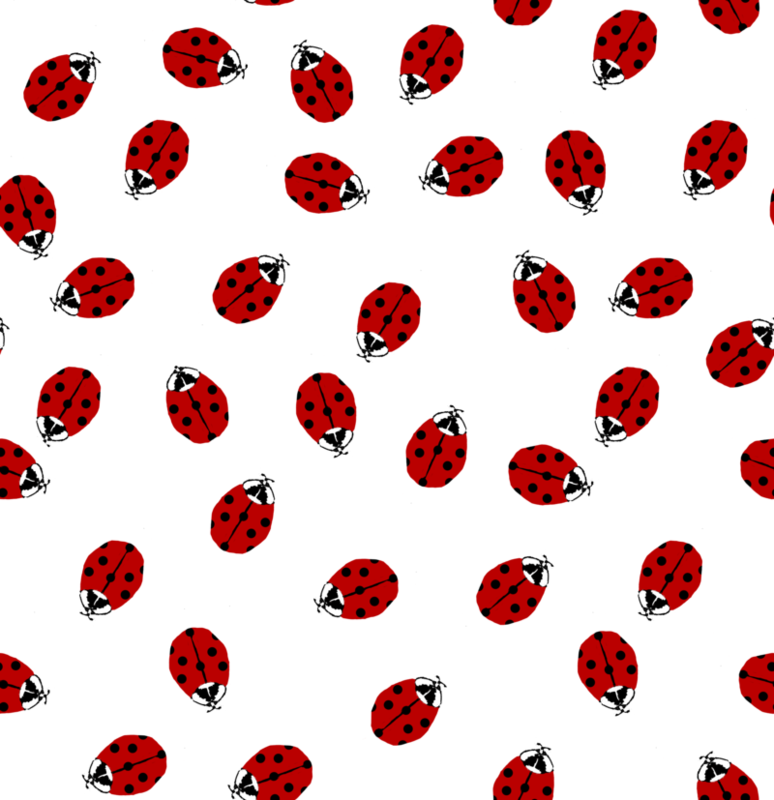 The number of spots do not indicate the age of the ladybug. Ladybugs can eat as many as 75 aphids in one day and up to 5000 in their lifetime! 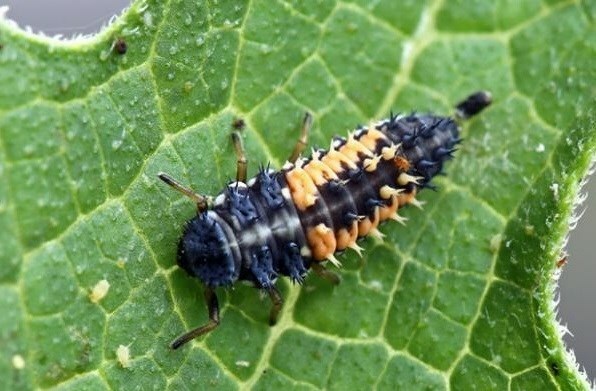 They also eat fruit flies, thrips, mites and other plant-damaging insects. Ladybugs taste and smell with their feet. That's why you never see a ladybug wearing old sneakers! A ladybug’s jaws chew side to side instead of up and down like our jaws. During winter ladybugs hibernate together in large groups to stay warm. Ladybugs are most active when their body temperature is 75 degrees or warmer. A ladybug’s bright color warns birds that it does not taste good. 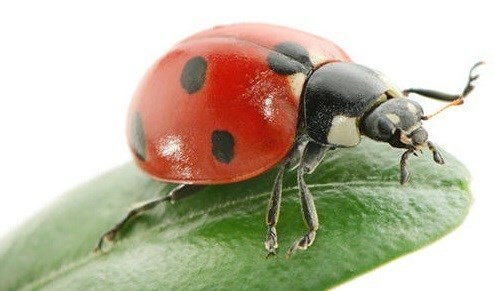 When a ladybug flies, its wings beat 85 times every second. are called Larvae and happen to look like tiny alligators. Around the world they are also known as Bishops, Little Cows, Ladycows and Ladybirds. They can be found on every continent except Antarctica.